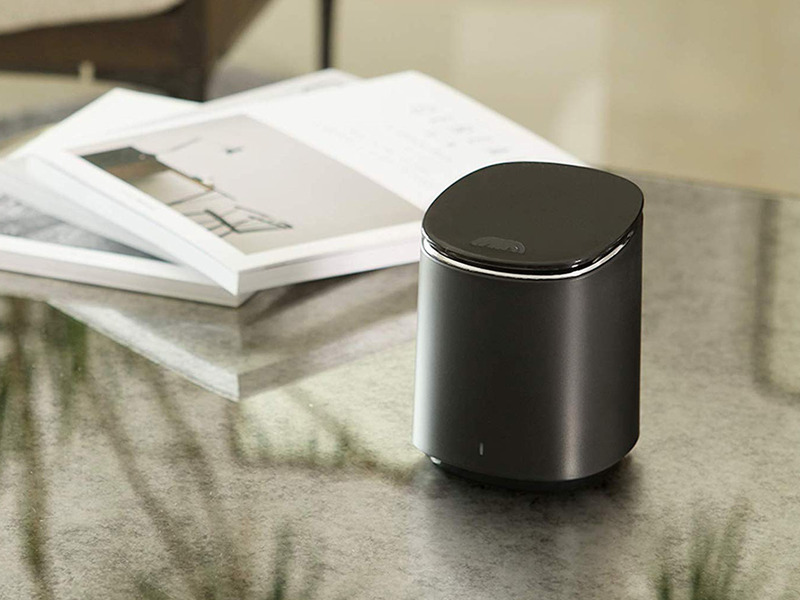 A high-quality Wi-Fi router provides coverage for your entire house, handles the needs of several devices, and offers effective parental controls. I like the Mercku M2 Wi-Fi Router because it reaches all of the far-off corners of my big old house, I was able to stream video on nine devices at once, and setup was a snap. Though it features a mid-range price (currently $119 on Amazon), it comes with an intuitive app and a one-year warranty. With the many excellent and affordable Wi-Fi router options available, there is no reason anyone should have to suffer through dead spots, outages, or several devices battling for bandwidth. 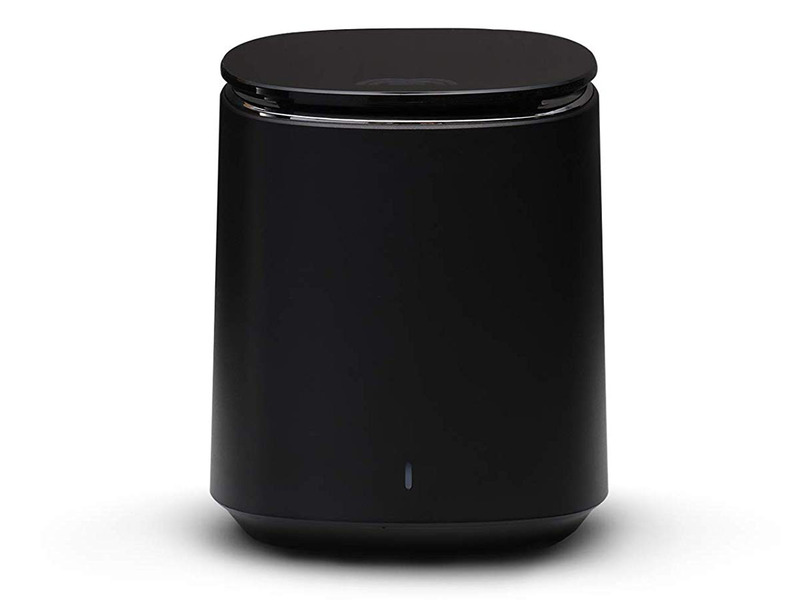 Today’s routers are designed to handle the loads of Information Age families. 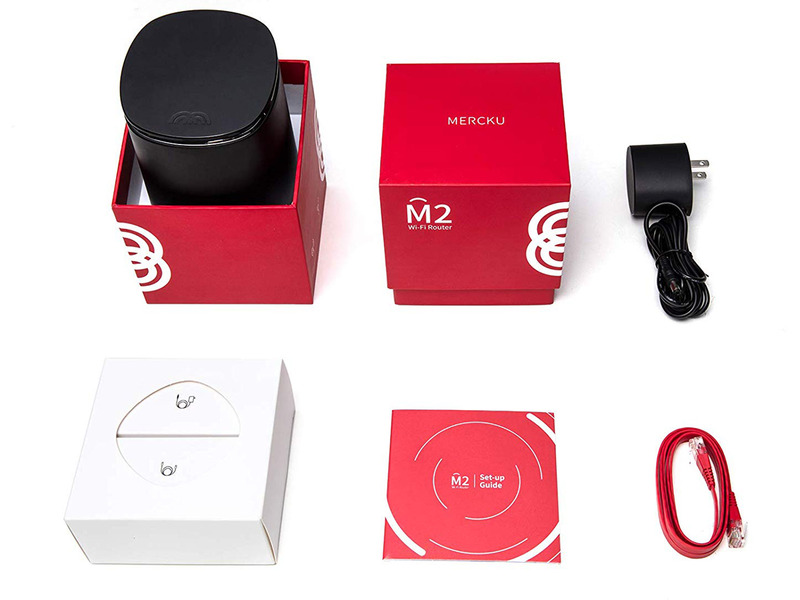 Below, we take a look at one of these: the Mercku M2 Wi-Fi router. First of all, I was surprised that Mercku sent me three of the M2 Wi-Fi Routers to test in my 4,000-square-foot house. They sent me this rather than the M2 Hive System, which as of this writing doesn’t appear to be available anymore. The Hive System features one M2 standalone router and four Bee Mesh Nodes that are small plug-in extenders. The Hive is designed to cover a home of 5,000 square feet. Fortunately, the standalone routers also work together to form a mesh system. I asked Alex Qi, CEO of Mercku, what the difference is between the two mesh system options. He said multiple standalones are better for large, open spaces. But, the Hive System is ideal for homes or offices with many walls. I live in an eight-bedroom, three-story house, which would suggest the Hive would work better. But alas, I used the standalone routers, and they worked fine. The M2 is a dual-band router capable of 867 Mbps speeds. There are three ports: LAN, WAN, and USB 2.0. Each router came in a red box with a power adapter, a network cable, and the setup guide, which guided me to connect the router to the modem, connect my phone to the router, and then use the app to do the rest. It took me about 10 minutes to connect the first M2. I had the whole mesh system up in about 25 minutes. This included updating the firmware, which I strongly recommend doing immediately. Otherwise, you will find the internet speeds are incredibly slow. A single Mercku M2 Router is supposed to be able to cover 3,000 square feet of space. I was not able to find information on how much added footage you get when you add multiple M2s. I installed the main router by the modem on the first floor. The other two routers were installed on opposite ends of the second floor. To test the coverage, I took my HP Spectre Folio Laptop and ran speed tests in various places around my house. First, I tested right next to the modem and main router. The download speed was 59 Mbps, and the upload speed was 98 Mbps. These are not blazing-fast speeds, but they’re enough for most purposes. Next, I went into our unfinished basement as far away from the main router as possible. I was impressed that I was still able to get some decent speeds: 43 Mbps download/28 Mbps upload. To really test the range, I went to my neighbor’s house 100 feet away, and I was still getting passable speeds: 17 Mbps download and 11 Mbps upload. Lastly, I tested the speeds in my second-floor office, where a secondary router was located. The laptop achieved 65 Mbps downloads and 83 Mbps uploads. I also tried speed tests with my HP Envy Curved All-in-One PC, which was connected to the router by an ethernet cord. I got my best speeds with this test: 194 Mbps downloads and 193 Mbps uploads. There were no dead spots in my house, and I was impressed that the coverage was good enough to stream video everywhere. A router must be able to handle heavy bandwidth demands from several devices at once. To test this, I streamed videos or played video games on every device in my house simultaneously. This meant, seven devices were streaming video, and two were used for online gaming. Even with this heavy demand on the router, I didn’t experience any degradation of video quality. The Mercku app allows you to blacklist specific devices and websites, limit the download and upload rates of devices on your network, and block the internet at specific times. I tested all of these controls, and they seemed to work well for the most part. The only problem I had was blocking specific sites. For instance, I blocked Google easily. But, when I tried to blacklist YouTube, it took about an hour for the changes to take effect. And, I couldn’t get it to block Facebook at all. The Mercku M2seems fairly low-tech compared to the newer, fancier — and more expensive — routers coming out. For one, it’s only dual-band instead of tri-band. This feature helps with handling multiple users on the network at the same time. However, even without this feature, we did not experience any issues when several devices were gaming and streaming videos. Occasionally, we would just lose our internet connection. It was never at a crucial moment — like during a video conference — and would only be for a few seconds. But, it was annoying. Lastly, the app doesn’t automatically let you know when it’s time to upgrade the firmware. Instead, you need to go into the settings and check for yourself. Overall, the Mercku M2 works great for a mid-range router. I was surprised by how low the Wi-Fi speeds were in my tests since its actual performance was terrific. I was also impressed with how the mesh system of three routers was able to reach every corner of my house. And, it served several devices at once without any trouble. 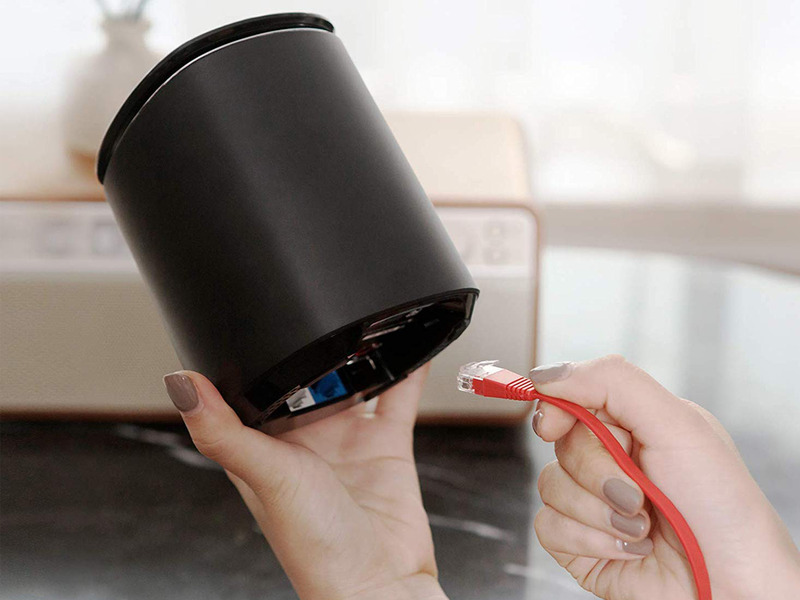 I would recommend the M2 to anyone who is tired of dead spots in their home or office.